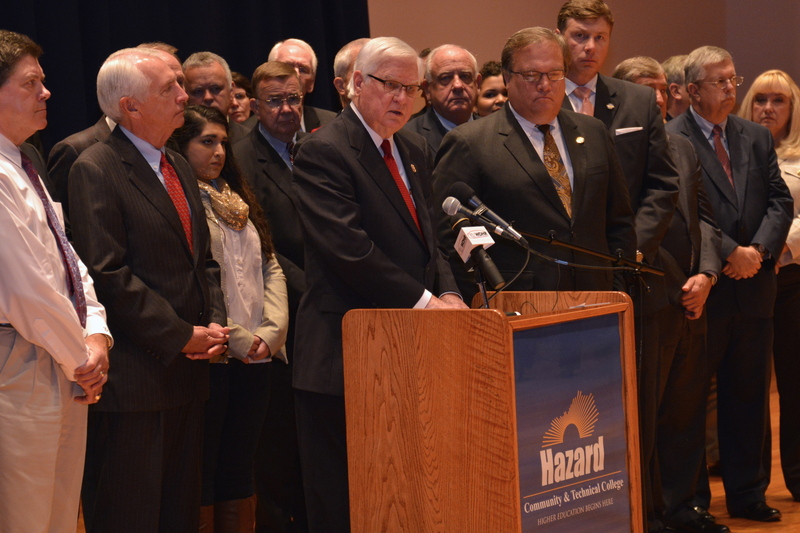 HAZARD, Ky. (Oct. 28, 2013) – In an effort to focus on the future success of southern and eastern Kentucky, Gov. Steve Beshear and Congressman Hal Rogers today announced that they will host a summit with hundreds of citizens from across the region to share new ideas and recommendations about how to move Kentucky’s Appalachian region forward. The summit, titled “S.O.A.R. : Shaping Our Appalachian Region”, will be held on Monday, Dec. 9 at the Eastern Kentucky Exposition Center in Pikeville. The nation’s recent recession and economic restructuring have hit the Appalachian region especially hard. While overall rural manufacturing and job growth have improved, the region’s number-one industry continues to decline. In less than two years, more than 6,000 coal miners have been laid off or furloughed in Eastern Kentucky alone, resulting in unbearable economic hardships in many communities. The Governor and Congressman have secured the assistance of the Rural Policy Research Institute (RUPRI), a national policy institute dedicated to fostering public dialogue and solutions to the challenges facing rural regions and communities. RUPRI has coordinated similar regional efforts across the nation and globe, and will help facilitate discussions at the SOAR summit. RUPRI facilitators support the summit’s goal of gathering the many disparate voices of Appalachia and merging their ideas into a cohesive strategy for the region’s success. “Economic growth is the overriding global imperative of all nations, and the key to success is to unlock the unique potential of regions, through collaboration, asset-based development, innovation, and ultimately wealth creation. RUPRI is honored to be working to advance that agenda in this region,” said RUPRI President and CEO Chuck Fluharty. A SOAR planning committee of approximately 40 members will meet in advance of the summit to suggest discussion topics and possible goals. Other national and regional agencies supporting the SOAR effort include the USDA Rural Development and the Appalachian Regional Commission. Rogers & Beshear announce new SOAR initiative for E. Ky.